1. 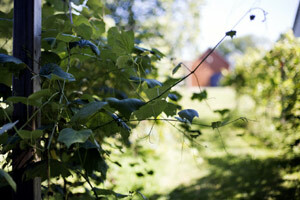 The only Barn Venue that also boasts a Vineyard and a Pond -- options, options, options! 2. The only Barn that is over 180 years old -- truly a piece of history and, might I add, has Real. Wood. Floors. 3. 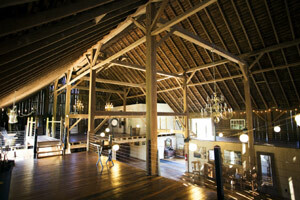 The only Barn Venue that gives you the option to rent the whole weekend, if you'd like! 4. And, my personal favorite reason: The only Venue that contributes 5% of every rental to our partner charity, Reece's Rainbow. We call it, the "Icing on the Cake" Project. 5% of your venue rental will be donated to a child with Down Syndrome who is waiting to find his or her Forever Family. The best part is, YOU get to pick which child! At Morgan Acres, we want couples to make a memory on our beautiful property and we want to serve our clients well. But we also want to make a lasting difference in this world. And, we believe that adopting a child with disablities really can be "the icing on the cake" of life. Visit www.reecesrainbow.org if you'd like to learn more! To see what other customers have to say, please visit our Testimonials page.